Gardaí have warned young bank customers to be wary after more than 1,600 cases of 'money mule' scams were uncovered last year. The scam involves criminals recruiting young people to help launder stolen or illegal money using their bank account in exchange for keeping a small profit themselves. More than two in five (43pc) of 18 to 24-year-olds are likely or very likely to lodge or transfer money for someone using their own bank account, according to a survey. This makes them the age group most susceptible to becoming 'money mules', compared with an overall average of 29pc of adults across all age groups surveyed. The survey also revealed 14pc of 18- to 24-year-olds say they or someone they know have already been approached by someone looking to use their bank details to store money. The new research, initiated by An Garda Síochána and the banking federation's Fraud­Smart campaign, aims to raise awareness of the latest financial fraud activity and trends, and how consumers and businesses can protect themselves. The FraudSmart survey also mirrors new data from banks, including AIB, Bank of Ireland, KBC, PTSB and Ulster Bank, who collectively had more than 1,600 confirmed cases of 'money-mule' activity on customer accounts in 2018, much of which involved young account holders. 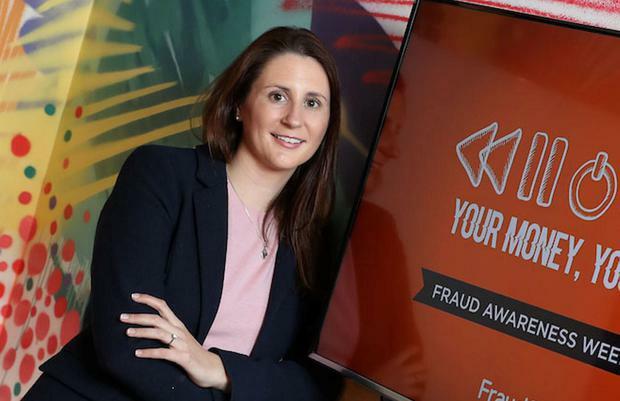 Niamh Davenport, head of fraud prevention who leads the FraudSmart programme, said that 'money mules' were a growing reality in Ireland today. "We understand that young adults are trying to juggle work and study with an active social life, with all kinds of costs to cover and it can be very tempting when someone offers you the chance to earn extra cash quickly for little effort," she said. "We're urging young people to be smart when it comes to money-mule recruitment, whether it's someone asking for a favour or promising payment. Know the warning signs, understand the risks and check with someone you really trust if you're unsure. "Equally, for teachers, parents, youth workers and friends to play their part in raising awareness so that more young people are on their guard. We know from experience that most of the recruitment happens online, but it's having the conversation offline at home, college or work that could really make a difference to a young person you know." Detective Inspector Catriona Gunne also urged young people to understand the consequences of letting another person use their bank account. "If caught, there is the prospect of a criminal record as a money mule, and even the possibility of aiding other criminal activities," she said.